It's Ger Gilroy and Eoin Sheahan in studio this morning after a bumper weekend of sport. With the National League getting underway, the FA Cup finally hotting up and a very special rugby guest joining the lads in studio, it's set to be a busy morning. Former Ireland and Munster scrum-half Peter Stringer will be in studio a little after 9:00am to look back on his rugby career, and ahead to his hopes for Munster and Ireland in a very promising 2019. With one of the reigning All-Ireland champions suffering a somewhat surprising defeat in Clones, and another picking up where they left off in Wexford, the lads will be taking a lose look at everything from the Dublin footballers to the Limerick hurlers, and all that falls between in an absorbing opening weekend of the National League. After a busy weekend of FA Cup where Manchester United, Chelsea and Manchester City all made their way safely through to the 5th round, the lads will be joined by Sam Diss to discuss the high-profile exist of West Ham United. Beaten 4-2 by AFC Wimbledon, Sam was in attendance as he searched for any remnants of magic that football's oldest cup competition may still retain. 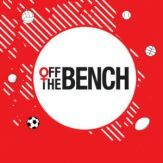 Also taking a look at the recent development of West Ham's own Declan Rice and what the English media make of his international uncertainty, Sam will be on #OTBAM shortly after 8am. Darren Cleary will join the lads shortly after 8:30 to provide a round-up of all the morning's other sports news. 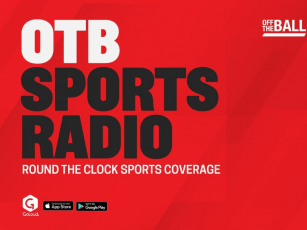 For all that and much more, be sure to tune in to #OTBAM from 7:45am!